This year’s election to determine the parent members of the SDMC will be held between May 21-25, 2018. Each member will serve a two-year staggered term. The ballots have been distributed to students. Please return the original ballot in your child’s green folder or place it in the ballot box in the main office by 2pm on Friday, May 25th. Join us to vote for our MAGNET CANDIDATES and ZONED CANDIDATES! Dr. Vanessa Patrick is a Bauer Professor of Marketing at the Bauer College of Business at the University of Houston. She has a PhD in Business from the University of Southern California, Los Angeles, an MBA in Marketing and a BS degree in Microbiology and Biochemistry from Bombay University in India. I am a mom and a teacher who cares deeply about education and knowledge. My daughter Zoe Ralhan is in the 1st grade. Community bio: Nina Godiwalla has been actively involved in organizations including Greater Houston Partnership, Texas Aspires, Dasra, Leadership Austin, Texans for Educational Reform, and Ivy League Board. She also sat on the Advisory Board for her children’s preschool where she helped plan activities and playdates to engage families. 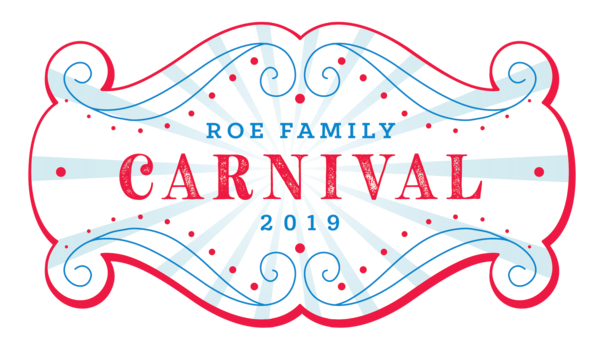 At ROE she has organized numerous social events for incoming families. In 2013 she was honored as the Outstanding Young Houstonian for her commitment to the community. Professional bio: Nina Godiwalla is a bestselling author and nationally recognized leader in diversity who is currently the US Director of Diversity & Inclusion for Norton Rose Fulbright, one of the largest law firms in the world. Prior to Norton Rose Fulbright, Godiwalla spent a decade working for Fortune 500 corporations. She then became the President of MindWorks Leadership, which provides leadership and diversity training to clients including the White House, Harvard Business School, NASA, the Smithsonian, the Wall Street Journal Women’s CEO Summit, and Dow Chemical. Joining influential women such as Barbara Bush and Sandra Day O’Connor, Godiwalla was inducted into the Texas Women’s Hall of Fame. She has served on White House Roundtables and the Texas Governor’s Business Leadership Council. She has been featured in major media including USA Today, Forbes, TIME Magazine, NPR, MSNBC, and CNN. Godiwalla holds an MBA from Wharton (Distinguished Alumnus Awardee), MA from Dartmouth, and BBA from the University of Texas. Ninety percent of students in the U. S. attend public schools, but in my opinion our government does not prioritize this investment in our youth accordingly. As parents we have a vested interest that our children’s education is not undermined. Having our daughter attend ROE for the past three years, I firmly continue to believe ROE models the diversity and academic commitment required for a quality education. I benefited from similarly good public schools locally in Alief, as well as elementary schools in Missouri, Michigan, and California. This experience has enabled me to have a diverse perspective of what works in public education and has given me opportunities to strive for excellence, as our ROE students do in their daily curriculum and extracurricular activities. I continued my education with undergrad. and graduate degrees in Chemical Engineering from UH and an MBA from Rice, giving me the foundations in my career to find innovative and efficient solutions to various complex problems; culminating in balancing costs to achieve the best returns on investment. Our school has built its success in the same way, and within the SMDC, we can continue building and improving upon on this path. Thank you for the opportunity to serve our ROE community and your vote. Me and my husband grew up in India and education was the foremost in our families. Both of us graduated from excellent schools and we chose River Oaks for our kids (even before we had any plans of having kids). ROE has such a rich culture and family atmosphere that we wouldn’t have sent Hansika any where else. With my profession being in the field of Education, everyday I am learning about innovations in 21st century learning and have interactions with professionals in fields that support education. I strongly feel that with my exposure to various school districts and my pride in ROE and desire for it to be the best, I would be a great addition to the SDMC committee. Mahesh is the Founder & CEO of PIXELS MULTIMEDIA, which specializes in 3D animations, Visual effects and multimedia productions. Mahesh strongly believes that the right education is the foundation for any profession and career. Taking this belief forward he started PIXELS ACADEMY, an International animation training institute which is the first if it’s kind collaboration between Indian, Hollywood and international animation industry professionals. Mahesh is also a successful international fashion model, who has featured in recent ad campaigns for Dell, Verizon, LinkedIn, Home Depot and GMC to name a few. Above all, Mahesh is a dedicated family man and has been married to his wife Soma for 12 years. Together they have two lovely daughters Maya (Grade 1) and Surina (Pre-K). Mahesh likes to spend his free time with his family and dedicates any additional time to various charity events in the community. Sendurai A. Mani is an Associate Professor in the Department of Translational Molecular Pathology at MD Anderson Cancer Center. He is also the co-director of the Metastasis Research Center as well as the Center for Stem Cell and Developmental Biology at MD Anderson Cancer Center. Dr. Mani trained with Dr. Robert A. Weinberg at the Whitehead Institute/Massachusetts Institute of Technology (MIT), Cambridge, Massachusetts, USA. He then joined the University of Texas MD Anderson Cancer Center, Houston, Texas as an Assistant Professor in December of 2007 and has been promoted to Associate Professor with tenure in 2013. Dr. Mani has received numerous prizes and awards for his research, including a Jimmy V Foundation’s V-Scholar Award and The American Cancer Society Research Scholar Award. Michelle is a global chief strategy officer, board member and c-suite advisor with experience in supply chain and distribution, start-ups, IPO’s and mature, multibillion-dollar public companies through strategy, corporate development, investor relations, and technology. She has built businesses from the ground up and turned around those that have stepped too far over their skis. Michelle accelerates growth, both organically and through M&A – she has successfully closed $7B cross-border public and private transactions from the Texas panhandle to Atyrau, Kazakhstan. Currently, Michelle is the Chief Strategy Officer for the $1B market cap, global energy & industrial distributor, DistributionNOW Inc., (NYSE: DNOW), where she built and manages Corporate Development, Investor Relations and Strategy. Prior to DNOW and National Oilwell Varco, Michelle spent 20 years in various sales, managerial and interim management roles in Consulting and Restructuring in the public and private sectors, including in public education, in Houston, New Orleans, New York, San Francisco, and Washington D.C.
Michelle serves on the Board of Hardwoods Distribution Inc., (TSX: HDI), a distributor of architectural grade building product to the North American residential and commercial markets. Active in her community, she serves as a Director and Chair of the Engagement Committee for Petroleum Equipment Suppliers Association (PESA) and a Board Member and Chair of the Corporate Development Committee for the Houston Chapter of the Association for Corporate Growth (ACG). She has been published in industry journals and is a frequently invited speaker on topics ranging from Capital Market Growth Strategies, Taking a Company Public and Diversity & Inclusion in Oil & Gas. Michelle grew up in Houston where she attended both public and private schools. She holds a Bachelor of Fine Arts from The University of Texas and a Master of Business Administration from Rice University. She and her husband live in Houston, Texas with their two children, who attend ROE.